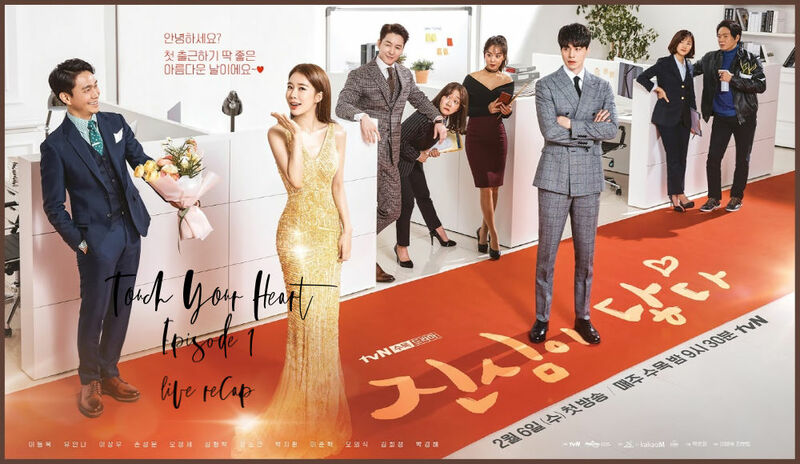 Touch Your Heart looks so adorably sophisticated! It is from the same people that brought us What’s Wrong With Secretary Kim, and it shows. 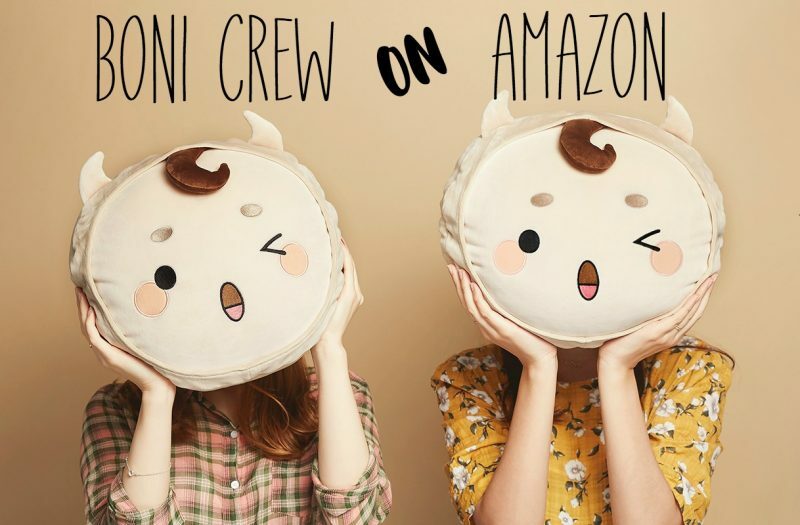 They are bringing that same fun, flirty, fresh take on the romantic comedy genre that openly makes fun of itself in the most adorable way possible. Recap Countdown: Starting right away!…Check twitter for updates! We open with shots of Seoul at nightime. Oh Yoon Seo is everywhere in the city on buses and other commercials everywhere that you look. She is very famous. We also see Jung-rok going to work, everything looks like a boring typical day to him. He is walking to the courthouse and Yoon-seo is also going to the courthouse. When she shows up it is a huge scene. The reporters swarm her and asks her if she acknowledges her drug issue, do you still think you are innocent? She does not answer the reporters and just walks in with her shades on. We cut to an On-air entertainment show. The people on the show talk about the whearabouts of forgtten stars. The main topic is Oh Yoon-seo, they wonder about her. One of them said that he heard she just stays in her house and waits on a new project. Another one says that female actresses in a drug scandal will have a hard time. Another one said that she was negative in the drug test and she was found not huilty so she can come back. But her image is down. Then we go to Oh Yoon-eo looking at a lot of pills in her hand. She starts to take them when her manager runs up and stops her. He starts talking a mile a minute about all her trial and tribulations and how she has so many anti’s and lots of things. But you still shouldn’t do this! It is a terminal decision. She looks at him and says that these are all her vitamins. He looks at the bottle and sees that these are all vitamins. He wonders how many you are supposed to eat? She shows him that it shows 30 pills. He has to explain to her that this means that the entire package has 30 pills, on the back it says that you are supposed to take one a day. She laughs and is all like, oh! I was about to get super full, ha ha ha. The manager kind of laughs and then changes the subject to her profile pictures that she took the other day. But Yoon-seo says that taking photos does not matter, no one is hiring me. Can I really come back Oppa? he is all like, For Sure! You will be a big drama main actress again! Yoon-seo thinks she will be the auntie of the main actress…do you know how old I am? He tells her that all that matters is how old she looks. If she was shorter he would book her as a child actor. She laughs at that. he starts to look for the script that he is looking for. There is a script called “Love Always Hurts” she finds and wonders if this is a surprise for her? Are you here to give me this script? Who is the writer?!? he tells her that she actually should not know about this aprticular script. This is not for you. he starts to hide it. She gets up and says that she does not care about it, but then she grabs it and runs to the bathroom to read it. She locks the door so that he can’t get in and then settles into reading the script. It is a daebak script with a daebak writer. A lawyer goes to the middle east for a vacation and falls in love with a military lawyer. She thinks it alraedy sounds fun and starts to imagine herself in the middle east waiting on her man who is flying in on a helicopter. It is basically a copy of the scene from Descended from the sun where Joong-ki flyes in and SOng-hae Kyo’s scarf blows away toward him. In this fantasy it is Jung Ki Young who comes off of the helicopter as the important lawyer role. He walks off very dramatically and picks up her scarf. he gives it to her and tells her she dropped it. In the bathroom Yoon-seo says both the man and woman parts as she acts it out. Then she keeps reading and we see another part where the woman lawyer is captured as a hostage and the man lawyer comes in with his car zooming and parking suddenly, he gets out and starts shooting all the bad guys while still in his lawyer suit. he manages to shoot them all except one. This one has a knife to Yoonseo’s neck. he pretends to put his gun away and then shoots the last guy. She starts to act both parts again, “Why did you come! You will lose your life doing this!” “I am more afraid of losing you than losing your own life.” They kiss, she pretends like she is kissing a towel. Then the bad guy wakes up and shoots his gun. She moves to protect Jung Ki-young and gets shot. In the bathroom she pretends like she is dying and says that she is sorry to tell him this, then she pretends to die. She leaves the bathroom and tells her manager oppa that she loves this script, she has goosebumps. The woman in the script is just 100% her. She is an innocent beauty like me. She is also a lawyer, I went to law school. But the manager says that this is for Kim Minji but she won’t do it. Yoonseo’s face falls. He does not think she will do it and wonders how dare she does not accept this writers script? He says it is because it is 80% outside of Korea. No one wants to leave the country for that many months. And they cant find actors in the casting. It is super expensive and no one wants to put money on it. I think it will be cancelled. Yoon-seo tells him that is why she should do it, she has a lot of time, she can do a show that is 100% outside of Korea. It costs a lot of money so I can lower my guarantee. She will be happy, I can meet the writer and ask her. We are good friends because we worked togegher before. She quickly calls the writer right away and tells her that it is her, Yoon-seo. They meet with the writer in her place. The writer says that she knows what she is talking about, but it is actually stressful to work with her since she had that big scandal. Yoon-seo tells her that it was not true. The writer says that it does not matter if it is true or not, the viewers don’t want to see you anymore. And it is not like you are the best at acting. Yoon-seo says that she is not good at acting, but her viewership is high. She can make it back to #1 popularity. The writer says yes, she did make a lot of news with her bad acting. Yoon-seo tells the writer to trust her one more time. She signals for her manager to beg for her. The manager asks for one more chance and kind of gets on his knees and then sits back on the couch. The writer says that she has one condition. Cut to Yoon-seo talking to her company CEO about how she has to work at a lawyers office in order to find out how to be a lawyer. She does not want to do it at all. Her manager, Hyuk-joon talks to Yoon-seo about how this one actress learned about how to prepare an exam, it is like method acting, just look at it as studying. But Yoon-seo says that he debuted 15 years ago, I am Oh Yoon-seo, aren’t I? The CEO tells her yes, she is. Yoon-seo explains that she was out for 2 years with something she did not do, she should not be treated like this, right CEO? he CEO agrees. She says that she is not there because she is not a good actress, she is there because she is pretty. So why does she want me to act? Right CEO? The CEO tells her that she is famous for bad acting. But then he holds his mouth. YS – What did you say? CEO – No no no no, the writer is bad! How dare she ask our Yoon-seo to go to the field for experience, tell her we will not do it! he sits with them. Hyuk-joon asks if he is for real? This could be her last chance. This catches Yoon-seo’s attention. Could it really be her last chance? She starts to think about this. The manager says that this is two years and her first possible role, maybe she won’t get another one for two years. The CEO says that it can be like the Olympics, she can work every two years. Tell the writer until she bleeds from her ears that we are not doing it. But Yoon-seo changed her mind all while they were talking. She tells them that…..she will try it. They ask what she said? She says I SAID I WILL TRY IT! The CEO tells her that she is a goddess, how can she work in an office for 3 months? Yoon-seo tells him that she knows she can’t miss this chance, it will be hard for her to get another job. And she does not want to hear that she is a bad actor forever. The CEO tells her that he will try it if she wants to do it. The CEO calls his cousin who is the law firm CEO. His name is Joon-kyu. Joon-kyu tells him that this is not a kind of job where you hire people for nothing. You can just hang up now. But then Joon-seok says that it is Oh Yoon-seo. Joon-kyu is all like, TELL HER TO COME HER FROM TOMORROW, I WILL GIVE HER THE BEST LAWYER. I am only hiring her because you asked me. he hangs up and looks at the phone. Then he says that he is so thankful to him! The goddess of the universe, Oh Yoon-seo will work for them?! My Goddess, Oh Yoon-seo, will come to the company tomorrow. He starts to practice what he will say to her in the mirror. Should he shake her hand or hug her or fist bump? Which way is the best? Is this awkward? he goes intot he company area and wonders who he should match Oh Yoon-seo with. He goes to Moon-hees office and thinks about matching her up. She is a civil lawyer who is currently meeting with a man that has a building in gangnam. This man tells her that it takes money to raise kids, do you have kids? She tells him that she will do her best to show that he does not have a conscience. She gives him a thumbs up. Joon-kyu thinks that Moon-hee is too timid, she won’t be helpful for his Oh Yoon-seo. He goes to Choi Yoon=hyuk’s office who is a divorce lawyer. he is meeting with a woman who is the responsible party in the divorce, but he still tells her that she can get a lot of money. She tears up and says that she will trust him. He tells her that people get married to get happy, but you also divorce to get happy as well. she asks him if he is married, he laughs and says, of course not. Then he mother calls him so he answers and stands up to talk. He is a big time mamas boy. Moon-hee says that he does not want to put Oh Yoonseo with this mamas boy. Another woman comes up and tells Moon-hee that mamas boys are so tiring. He asks her when she came, she says she just stopped by and asks who Yoon-seo is. he tells her nothing and runs off. He starts to think about Kwon Jung-rok. He imagines Jung-rok in the courthouse, he is an ace lawyer. 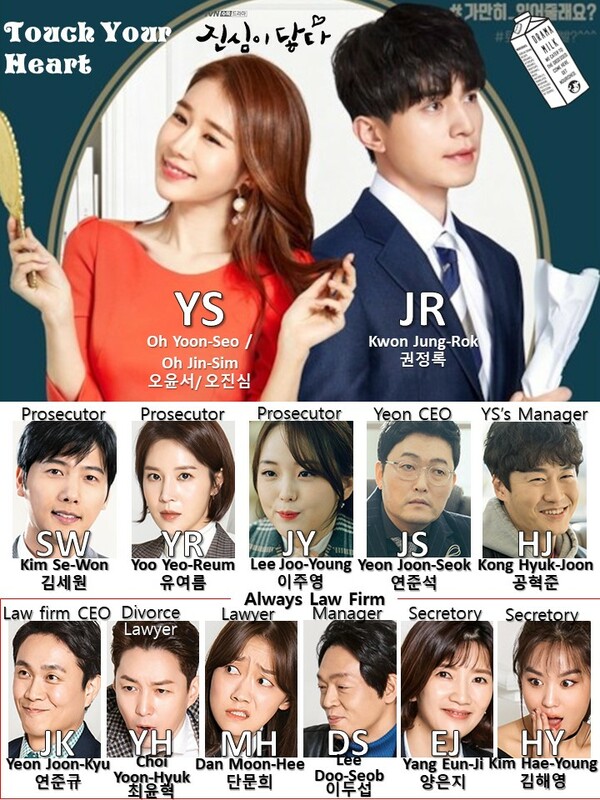 Moon-hee thinks that Jung-rok is cranky, but he is the ace of their lawfirm with a #1 winning rate. The secretary asks if he is going to pick Lawyer Kwon? Moon-hee hops to realize that she is still standing next to him. She asks if he is going to pick him? He says something about it and then walks away. Jung-rok comes back. The lawyer smiles and tells him that he is picked! Congratulations! Jung-rok has no clue what is going on. He meets with Joon-kyu who tells him that he is picking a secretary for him, goddess Oh Yoon-seo. She went to law school, did you know that? She only did the first semester of the first year, but she got in. Jung-rok tells him that he said she went to law school but she barely started. Joon-kyu tells him that he shold help her. Jung-rok really does not want to help her. He gets up to leave. Joon-kyu tells him that his cousin is the CEO of her management company, so just hire her for 3 months. He will be so sad because he cared about her as his own daughter, but she is broken now. He tried so much to keep her a float and the last thing he is trying is me. He looks off in a sad longing way. Then he turns around to see if this worked. Jung-rok still looks upset and grumpy. JR – I don’t want to. he starts to walk away. The CEO holds something old over his head and says, oh, why did I do that all those years ago? JR asks how long he will hold that over him. The CEO smiles and says he will basically do it forever. Then he sits and talks to JR about all the things he should do to help goddess Oh Yoon-seo. Meanwhile, manager Hyuk-joon is at Yoon-seo’s house talking to her about her first impression. She shuold not look too much like an entertainer but also not too much like a normal person. She should not look like she is a forgotten actress. (Whaaaat?) you know, you should not look like you are too big or fallen of a star. She tells him that she is not a little kid, he says that he always worries about her. And he is not allowed to help her. She says she can do it all a lone. But he says that she can’t even go to the bank alone, she can’t eat a lone, she can’t do anything a lone. She tells him that he worries too much, beside, you can do bank things on an app and people will want to eat with me. Don’t worry. Then she says that she does not want to wear what they picked out. Cut to the next morning where the CEO of the law firm comes in looking fabulous and also has a huge boquet of flowers. The lawyers are all like, um? Why do you look like that? he says he had these clothes at home….and he had the bouquet at home. he looks at them as if they are supposed to believe that. They don’t, so they tell him that there is a new employee coming. (You didn’t treat us like this when we came to the company). Just don’t make her feel weird, and don’t take photos with her. The secretary says that someone came. the CEO turns around with a very bright happy face in anticipation. But it is only Jung-rok. The CEO tells them all to be normal when she comes. In his office, Jung-rok starts to search everything about Jung-rok on Daum. He thinks back to his converstation with Joon-kyu about her where he told him that his one condition is that if she quits first then he does not have to stop her. In the office area, CEO Joon-kyu practices how he will stand and hand over the flowers. The secretary looks at him curiously. But then Oh Yoon-seo comes which makes him forget everything and flubber around. Yoon-seo steps off the elevator like a commercial or like a top actress entering a room. She is making a grand appearance with her own hip hop beat and slow motion walk. Everyone looks at her in their own ways that shows their personalities. When seh gets to them, they all greet her in their own ways. She smiles and says her name. YS – Hello, from now on, I know I am not good enough, but please look at me prettily. Yoon-hyuk tells her that she is pretty so of course they will look at her prettily. Eun-ji rolls her eyes at him. The CEO tries to stand in a way for her to notice him and hands over the flowers. Yoon-seo tells them that she will work hard. it is eactly like seh is giving an award speech. Yoon-hyuk tells her as much. Hae-young asks what kind of cosmetics she uses and Moon-hee says her clothing looks expensive. Eun-ji tells them that they should all get back to work. The only person that did not greet her was Jung-rok, he stayed in his office. So Yoon-seo goes to his office to greet him and says that she was in a lot of commercials, dont’ you know me? She sees his laptop and closes it, then jumps into a commercial for a laptop. This my laptop, your laptop, SamSong laptop. She poses for effect. Jung-rok is all like, what the? His face is blank. She asks if he really does not know her? he motions for his laptop back. She looks around and says that she did a couch commercial! She goes to his couch and says that “COuches are not for sitting, they are for being embraced…Acemis Sofa” She lays on the couch seductively and also comfortably. he looks at her like she is so strange and extra. he gets back to work. She stands up and starts to drink a W water as if she is in another commercial. “I am not just water, I am good water. If you are jealous, you should drink it” she smiles and does a cute hand motion to her face as she looks at him. JR – How long are you going to do this? She goes up to him and says that it is kind of weird that that he does not know her as a Korean. he calls her by her real name, Ms. Oh Jin-sim. She says that she is Oh Yoon-seo. he tells her that there are a few rules that seh needs to follow. JR – Ms. Oh Jin-sim I have to tell you a few rules to work with me. First, don’t be late. I hate poeple who don’t keep the time. JR – Second, you should go home on time. I dont’ like people who can’t finish their work during the given time. And third, as my secretary, you shuold do this. JR – I thought, because of the scandal, you can’t make a living so it was difficult and you came to this alw firm using your old college connections. But this is difficult even for people with high specs. YS – Oh, is that the setup? Okay, then I understand, so what things should I do? JR – Just in case, do you have experience as a secretary? JR – Can you take phone calls? YS – …okay, that is the best thing I can do! She goes to her desk and thinks that he is so cranky, but then also thinks that some lawyers should be cranky. Hmm, this could help for developing the character. She starts to look around the desk and sees that it is so clean and organized. She thinks that the previous secretary worked so well. There is a post it note that says something about how someone was pleased to see Lawyer Kwon. Yoon-seo takes the note and writes, Yes, on it. Then she takes a photo and sends it to her manager and CEO of the company letting them know that she will work hard. The manager tells the CEO that she looks so pretty in her photo. It looks like this is going better than expected. The CEO tells him to take good care of her, drive her there and pic her up, and don’t let poeple know about it, her future depends on it. manager Kong says that he will, then he looks at the CEO. The CEO asks if he is angry? Manager Kwon says that he thinks he is a great person. You take care of your entertainers as family members. Other companies would have already turned her away if she did not make money for 2 years. So you are great. The CEO says that he is a humanist. Then he asks why her clothing is so tight. Manager Kong says that hse liked to eat food recently. CEO Yeon tells him to put her on a diet to lose 10 Kilograpms. Kong is all like, huh? SO the manager asks if he wants to lose the waeight as well so he tells him. Okay….you are great. Back at work, Yoon-seo gets encouraging messages from her manager and CEO and then takes a call at the office. There is someone that wants to talk to Jung-rok. She tries to get his attention and wave and him and knock on the door. He wants to know what she is possibly doing. She tells him that the line is too short to connect the phone call (the actual phone line, lol). She he has to walk to her and answer the phone. She tells him that the line should be longer. He asks her if she knows how to forward the phone call? She is all like ??? So he tells her that he will pick up all his phone calls. Later on, she is playing on her phone when he asks her to copy some documents. She happily gets up to do it and asks how many. He says two, but then she accidentally drops it all on the ground. She can’t get them though because her dress is so short and her bossom is out so she tries to pick it up by covering her bossom and her legs but it is so hard to do (and hilarious) so he tells her that he will make the copies. She goes outside and asks where the water area is. The company people are about to go eat so the CEO tells her that they can eat at a fresh tuna place. She thinks that this sounds so good. But the company people leave without her and wish that she could go with them. However she said that it was her first day at work so she wanted to stay with Jung-rok. The CEO thinks that she is the best. They all start to walk to go to that expensive sushi place and thinks about it happily. The CEO tells them that they are eating kimchi chigae with tuna instead. The employees are all like what? Moon-hee says that if they eat canned tuna then they may as well eat tuna sandwhich across the street. Eun-ji talks about how Moon-hee must like a parttimer there. The CEO talks about the time Moonhee likes a parttimer at another cafe that she wanted to go to tall the time. Yoon-hyuk calls her a gamsapha which is someone that falls in love easily and quickly. Moonhee tells them that “love is always moving” which is from a commercial or something. They all leave to go eat kimchi chigae. Inside the law offices, Yoon-seo wonders if she should do nothing and wait? She knocks on Jung-rok’s door and tells him that it is lunch time, 20 minutes already passed. She tells him that she cannot go to a restaurant with a lot of people. He is all like, huh? Well, I have an appointment. She tells him that she can’t eat alone, and she had the scandal so she can’t eat alone. What will people say? he tells her that eating alone is not pitiful, I eat alone all the time. She says she is not him, she is the Korean Goddess Oh Yoon-seo. What should I do? he tells her to eat delivery. Then he leaves. She is so shocked that he left her there alone. In the restaurant with the other employees, they all talk about how they could have eaten sushi if they went with Yoon-seo. The men talk about how she is so pretty, looking at her is like watching a drama. The men have fun talking about watching a drama when they go to work. The women think that entertainers are strange, they are not on TV but always sell things. Howeer working in a law firm is so strange. Why does she want to do that? CEO yeon tries to keep the secret and tells them that something else that another person says is the reason so they will stop talking about it. In the office, Yoon-seo looks around for food in the break room. She makes herself a coffee and is about to drink it very happily like a commercial, but then she hears a strange sound. She opens the break room door and heads outside cautiously and suspiciously. A man turns his head around and looks at her. She gasps. YS – What are you doing there? YS – Who are you? DS – I am Lee Doo-seob. DS – I am the man…. YS – oh…! Oh….! Oh….! But then the other team members come back and greet manager Doo-seob casually as if it is no big deal. Yoon-seo was scared out of her mind though. The team sees that she is only drinking coffee. On the way back, Jung-rok sees a Japanese place and buys something for Yoon-seo. he gets back. Secretary Eun-ji asks him if he ate yet? He says he is not for him. In the back, everyone is talking and laughing with Yoon-seo. Eun-ji tells JR that it would be nicer for him to have someone that works hard for him. Then DOo-seob goes up to Eunji and kind of tells her that he bought this caramel macciatto but he doesn’t want it so you can have it. He stutters around his words. She smiles and says that she can drink it. In the back, Joon-kyu happily chats with Yoon-seo and the other women. He tells her that his mother always told him that Manners Maketh Man and then laughs and says that this time has finally come. The girls are all like, um…haha…okay. Theyn Jung-rok comes in and is all like, um,. The CEo is all like how come you are here….oh…this is your office. Everyone leaves. Yoon-seo asks Jung-rok what she can do in the afternoon. he asks what she can do? Just spend your time here and leave. I have seen a lot of people like you, so just drink your coffee and talk to people outside my office. He walks to his office. She storms in and says that she did not even eat and waited for him but he is so mean, what did I do to you! He calls her Oh Jin-sim, she says her name is Oh Yoon-seo! He tells her that this is an office, you have to take your work seriously, you are famous enough to be on TV but that is outside of this office. You should get real. She is shocked that he said to get real. She is upset and says that she is not there to play! he tell sher that she says that, but she wears this outfit? She says she didn’t even start her real work, you shuold not judge me with my clothing, that is your prejudice. He says that it is his prejudice, he knows that he does not have a lot of time to judge her properly. But why didnt you come to work on time so I will not be prejudiced. If you really want to work as my secretary then you need proper clothing. Other side you will waste three months here playing. She runs to the bathroom, checks all the door, and screams about how much of a jerk her boss is. She yells about how she did not know he would be a secretary, she did not know she would be late, her oppa said she should be there at 10am. he does not know anything about me! How can he say that! I will not let this go! She storms back into his office. He is on a phone call talking about how someone will give up, it wont’ take more than a week, maybe they will quit and leave tomorrow, it is unsavable. We don’t know the subject of this sentence. Jung-rok says that they have evidence but this is hard, he thanks the person for their help and asks when they are coming to Seoul. Does Yeorum know about it? He talks to him about doing a comeback party soon. Then he turns around and sees Yoon-seo glaring at him through the window. She only heard the part that sounded like it was about her. He starts to ehad to the courthouse, seh stops him and says that they should talk. But he just tells her that she can go home at 6pm. Then he leaves. She is so upset. She heads home with her manager and tells him that she never saw a cranky guy like that before. He can hate me but he should teach me. He doesn’t like anything, I work and he doesn’t like it, I rest and he doesn’t like it. The manager is all like, yeah! What does he want! that strange guy! She thinks he does not like her existence. Kong is all like, how can he not like you! Even if he does not like women he should still like you! She tells him that this drives her crazy, she doens’t need the drama! he tells her that she should accept the situation calmly. But she exclaims that she wants to quit, cut cut cut! The manager asks why she shuold be the one to cut. Oppa will give him a lesson! Btu then they have to stop their car do to a film crew filming something. Yoon-seo and the manager wonder what is going on, did they rent the street? It should be hard to film outside in the winter like this. Yoon-seo looks at them filming and her music starts to play as she gets back home longing to work again. A bluesy hip song is playing as she sits on the couch and thinks about her fame. She looks around at all her images on the wall and thinks about going to red carpet events with cameras flashing all around for her. At home, she watches this on the TV and thinks that she looks pretty as Oh Yoon-seo. Then she sees another image on the screen. It is with her and Jung Ki-yong in a scene from a TV show or movie. He runs out of a cafe and grabs her arm. She acts very badly and tells him to stop, how can you see another woman! How can you love two people with one heart! (Her acting is so bad here). He tells her that it was his mistake, forgive me. She yells, how can I forgive you! F-you! I will never forgive you! She falls to the ground and wails, Jung Ki-yong cries a single tear. At home Yoon-seo watches this and cries as well. It looks like she really wants to work again. The next morning, Manager Kong comes to her house to drive her to work. But she is asleep at her desk. he tells her to wake up and asks if she slept there? Why? You never came here after you moved in (her office). She says that she needed to search for something. What time is it now? he tells her that it is 7:30am. She hops up freaking out and says that it is so late! You should have come earlier! She runs off screaming. On the computer it shows that she was looking up how to work as a lawyer in a company. She looked up a lot of information like what to wear. the manager is so amazed that she found this on her own. He drops her off and she runs into the office building in her disguise. She has a huge jacket, glasses, and a scarf on to hide her identity. She rides the elevator up and runs to her office. She says that she is safe! Not late! Jung-rok is meeting with Yoo Yeorum. he tells her that something looks good, it looks like she can try it. She thanks him for helping her with his busy schedule. he says it is her work, not anyone elses. She jokes that her heart dropped. She tells him that he also has something that can drop his heart and mentions that she heard that he has a pretty secretary now. She heard about it from Yoon-hyuk at the courthouse. JR mutters about how cheap Yoon-hyuks mouth is. Yeoreum says that she will keep his super star secretary as a secret. Then asks if he feels like he is walking on a cloud? He says that it is not like walking on a cloud, it is more like walking on shallow ice. Meanwhile, Yoon-seo gets a coffee from the braek room and runs into Eunji. Eunji talks about how she heard that she got kicked out of law school due to her grades? Yoon-seo says that she actually quit. Eunji tells her that she will tell her something since she is older. You dont’ know about this, but law firm secretaries don’t just do errands. You should look at it as a lawyers law partner. I hope you will work harder to be helpful to your lawyer. Yoon-seo smiles and says that she understands. We also see her outfit, it is very company appropriate, a long dark skirt and button up loose fitting top. Yoon-seo starts to talk about the American show Mad Men. People liked it but she was so bored. There was a character like her that told things to the younger secretaries. They told this and that to them. You are just like that character! Eunji is all like, what? Character? huh? Yoon-seo smiles and thanks her for her advice. I will work hard! She smiles again in a bubbly way and leaves. Montage of Yoon-seo learning how to do office like things in the office. The other secretary, Hae-young, teaches her how to make copies. Yoon-seo is so thakful, Hae-young tells her if you are so thankful then tell me what cosmetics you use, I will be so appreaciative! Then hae-young runs off. Yoon-seo wonders what else she should do now that she knows how to make a copy. At the elevators, CEO Joon-kyu meets with Jung-rok and says that they will have a welcome party for Yoon-seo. JR is all like, huh? She is only here for 3 months though. Joon-kyu tells him that every moment is precious. They start to talk about the party and how Jung-rok should drink, everyone likes him better when he drinks. Jung-rok is all like, huh? But the elevator came so the CEO hops in without explaining further. Upstairs, Yeon-seo is so happy to show off her new plain clothing. he tells her that she looks tidy. She also show shim that she cleaned his desk, it was so messy with all the documents. you can focus better now that it is clean. he goes to his desk and silently freaks out. He tells her that all his court documents are all messed up and he has to review one of them now. Why did you do something I did not ask of you? Why did you touch my things at all? It could be messy to you, but I have my own organization rules. Didn’t I tell you that if you have nothing to do then you should spen your time and go home? She tells him that she tried to work hard, why is he so angry with her. I will try to do things if you teach me! he sighs and tells her that she can leave. She starts to walk out, but then walks back to give him a piece of her mind. SHe asks if he hates women? DO you…..hate women? YS – What are you doing? JR – I like women very much, very very much. I just don’t care about you at all. An adorable start to this show. It feels modern, fresh, and adorable. Hopefully it continues in this way just as Secretary Kim did. JR – Can you not touch my desk in the future? Excuse me. YS – Excuse me? Excuse Me! ARGH! YS – I am not drunk! Oh, that guy, that guy! SW – Why? Yeorum likes you. HY – I wonder what her relationship is with the third generation chaebal? She was there, that is a fact. JR – Let’s start over from the beginning. Next Post Drama Milk YouTube Channel!!! The first episode also set stage for the supporting characters. For me, that’s always the difference between a 10 vs a 9 rating drama.